If you’ve been eyeing the 2019 Mazda CX-9, you’re gonna want to take a look at the new 2019 Volkswagen Atlas before you make your decision. 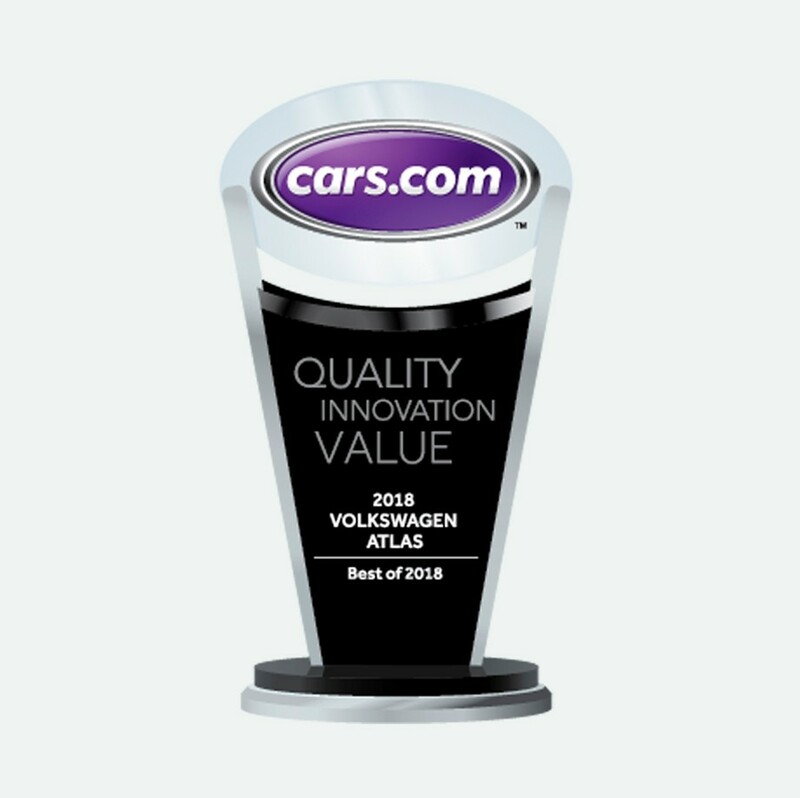 It’s Volkswagens’ newest vehicle but it already beats top competitors like the 2019 Mazda CX-9 where it matters most. The 2019 Volkswagen Atlas makes a big statement with its lower base cost; it’s over $1,000 less than the Mazda CX-9. The difference in starting price doesn’t mean the Volkswagen Atlas lacks in quality and features. It gets comparable estimated EPA MPGs in the city and on the highway, plus it tows over 1,500 more pounds than the 2019 Mazda CX-9 when comparably and properly equipped. With the 2019 Volkswagen Atlas, safety comes first. NHTSA crash test results rank the Volkswagen Atlas higher in overall safety, with 5 stars, than the 2019 Mazda CX-9, which received 4 stars. The new 2019 Volkswagen Atlas is equipped with a rearview camera system and Intelligent Crash Response System (ICRS) – which, in the event of an accident, can turn off the fuel pump, unlock the doors and activate the hazard lights. It's official. The 2018 Volkswagen Atlas beat out the entire field of competition. Named Best of 2018 by Cars.com. The 2019 Mazda CX-9 you’re searching for can’t compete with the warranty offered in the 2019 Volkswagen Atlas. Volkswagen’s People First Warranty, now offered on new Volkswagen models, gives buyers six years or 72,000 miles of bumper-to-bumper transferable coverage (including powertrain components). Mazda’s transferable bumper-to-bumper limited warranty is only three years or 36,000 miles and its powertrain warranty is five years or 60,000 miles. Now that you know how the 2019 Volkswagen Atlas beats the 2019 Mazda CX-9, stop by one of our local stores for a test drive! We gladly serve our VW shoppers from South Miami to North Palm Beach with 11 locations – find one near you! Like what you see? Find your favorite dealership and take the next step!